There is often a common misconception regarding the VA home loan and if it is even made available to the National Guard and/or Reserves. The answer to this question is yes, both National Guard and Reserve members have access to VA Home Loans. The Veterans Home Loan Program Amendments of 1992 extended VA loan benefits to those who’ve served at least six years in the National Guard or Reserves. Does the VA Loan Process Differ? The actual VA Loan Process does not differ that much at all, though some of the paperwork may be a little different. Both Reserves and members of the National Guard are afforded the same no down payment, guaranteed home loan that full-time military are afforded. Lets take a quick look at some of the things that may help National Guard members and Reserves complete the process smoothly. Unless they have a service-connected disability, all VA borrowers pay a funding fee. This fee goes directly to the Department of Veterans Affairs and helps keep the program going for future generations of service members and veterans. The VA Funding Fee percentage varies based on your service, the type of loan and how many times you’ve used the program. Don’t worry though, the fee can be rolled up and financed into the loan, or you can ask the seller to pay it. Now that you know you have full benefit right to the VA Home Loan even though you were not full-time active duty military the process of getting everything together and getting started can begin. 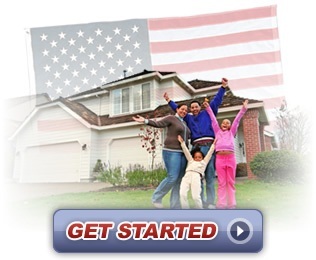 Start your No Obligation Process now, or contact Tiare Fullerton and Hawaii VA Home Loans for more information.